Last night I was honored to present a lecture and trunk show at the Mid Michigan Quilters’ Guild in Mt. Pleasant MI. It was so much fun to share what I do with such a great group! Thanks to everyone for such a great evening! ( and delicious treats!….I was particularly fond of the rhubarb!) I hope to see you all again. 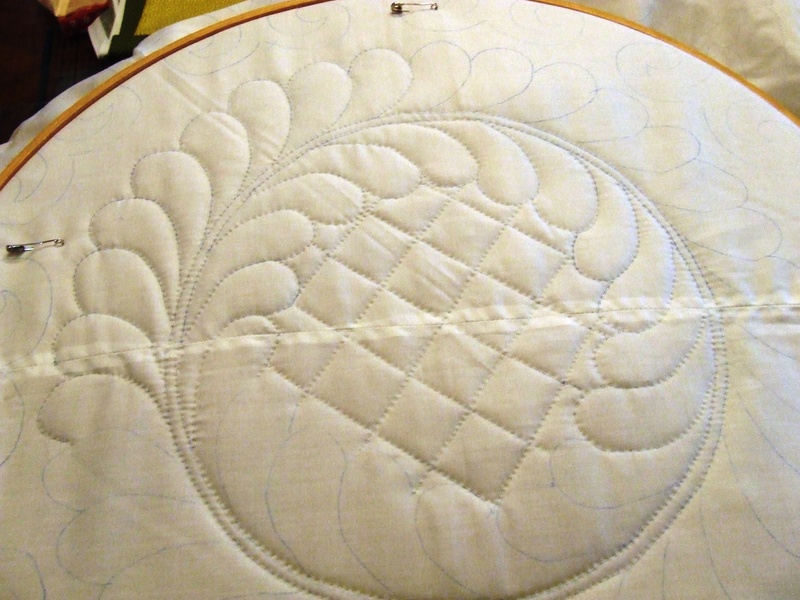 I have 200-300 more quilt tops to finish so It will be a new show in a year. 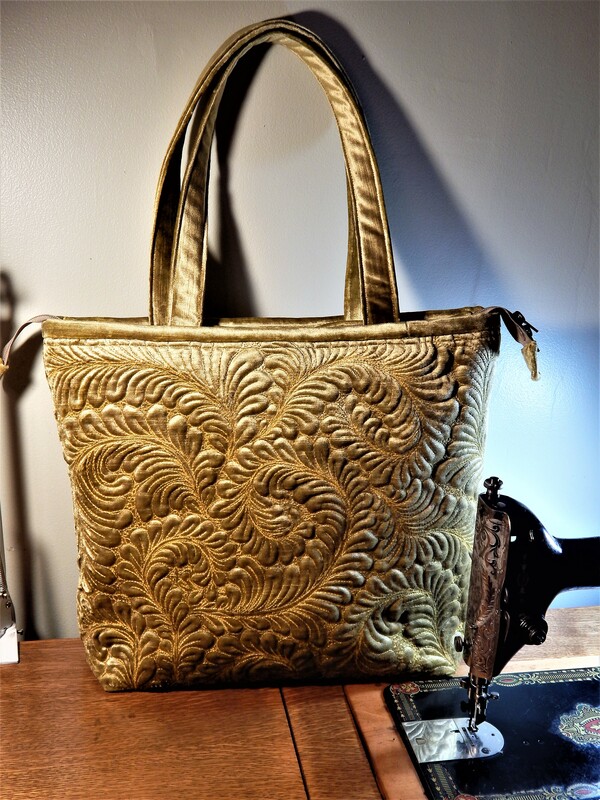 This entry was posted in Quilts and tagged hand quilting, Quilting, Quilts, trunk show/lecture. I knew your quilt was there. Thought that would get to come down. Oh we’ll, maybe next time. Since I watched you work on that quilt through your blog, it will be a pleasure to see it in person. Now THAT would have been amazing!! Any plans to come to do one in Australia??!! And today I was honored to be standing next to your quilt. As soon as I saw it I knew it was yours before I looked at the tag. Beautiful! I was telling my friend that travelled to show with me all about it and how I followed your blog and read along with you as you created it running the yarn through it to create the deminsion. That is what makes quilting so special, the community we create amongst us. I saw so many quilts and quilters, instructors that I have seen on blogs, etc. Great day and will be going back again tomorrow. Taking in the museum too. I’ve been here before, if a quilter has never been to Paducah for quilt week, its a must! Put on your to-do list. 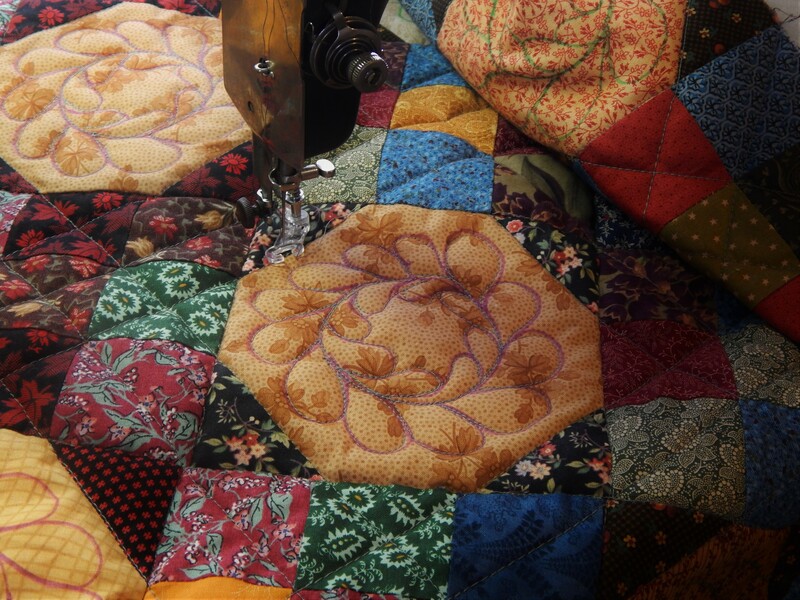 Thank you for sharing your quilting and gardening with us on your blog. Always a delight. I love seeing your quilt tops in the process of being finished. I have a couple of “quirky” sewn quilts, and now I think I could probably figure out how to go about it. I haven’t counted how’s my I have, but I know I will be busy with them for quite awhile. Thanks for the encouraging posts. They are fun to read & I learn something ever time I visit!! thanks!…and good luck with your projects and have fun! 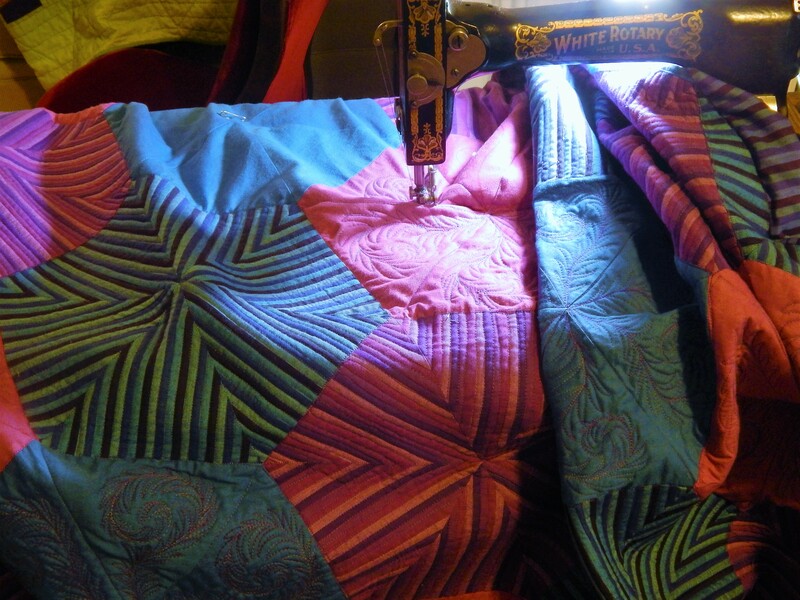 It was great seeing all those quilts at the guild meeting after following their progress on the blog. I felt like I was watching a replay of your blog over the last year and enjoyed seeing it all again. I invited my friend along, after we saw your Tree of Life quilt at AQS Grand Rapids last year. She was impressed with your work. 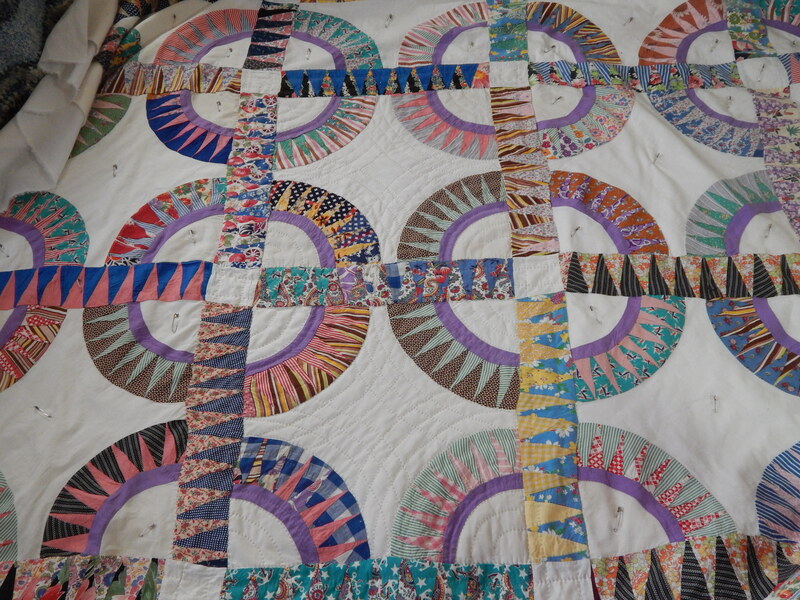 Thanks!….I really do enjoy sharing all my quilting, on the blog and even more when people can see them “in the cloth” as they say….I just wish I could have brought the tree of life….but it will be in Colorado for another month….